Combining Accuracy, Speed And Reliability With Our Tracking Devices And Markers. 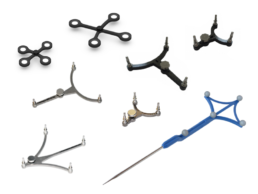 Our optical tracking solutions help surgeons all around the world to guide their instruments with sub-millimetric precision for better patient outcomes. 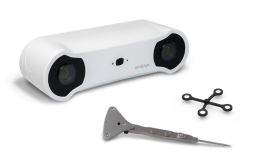 The spryTrack 180 is a compact and mobile optical tracking system at the edge of the technology with no compromises on speed nor precision. 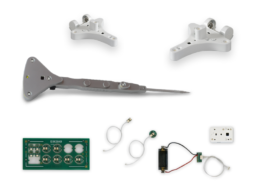 This affordable device is well suited for portable and/or wireless surgical navigation applications. The fusionTrack 250 is an optical tracking system ideally balanced in terms of size, speed and precision. This high resolution device is well suited for surgical navigation or robotics applications. 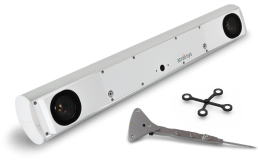 The fusionTrack 500 is the fastest and most accurate optical tracking system of our portfolio. This high resolution device is well suited for most demanding surgical navigation or robotics applications requiring the utmost precision, speed and working volume.